Over more than 20 years of deleivering ground engineering and water management services, Acwifer has assembled one of the largest, and most experienced and diverse team in the world, comprised of physical and contaminant hydro geologists, geochemists, and environmental scientists and engineers. 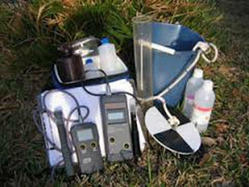 Hydro chemical analysis service for Ground Water Quality. We are involved in Ground Water Chemical Analysis.We have developed quality testing laboratory where our experts conduct rigorous tests to assure the quality of water. We also make sure that a large number of toxic pollutants have been detected from drinking water and if the water is ideal for environment and human health. 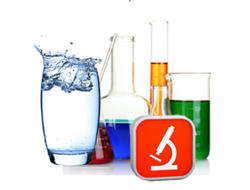 We are the leading service provider of Ground Water Chemical Analysis. : - LOI, SiO2, AlO3, MgO, Fe2O3, CaO, Cl, SO3, Na2o, K2O, Insoluble Residue Lime Saturation factor Tri calcium Silicate, Tetracalcium Silicate, Tetra Calcium Alumino ferrite. We perform tests on both ferrous and non-ferrous metals, aluminum, copper, nickel & zinc base alloys, bitumen and its products, rubber materials, plastics, paint, grease, oil, soil, water, waste water, effluent, air, noise pollution samples. Furthermore, we also provide identification of polymer in rubber & plastic materials etc.